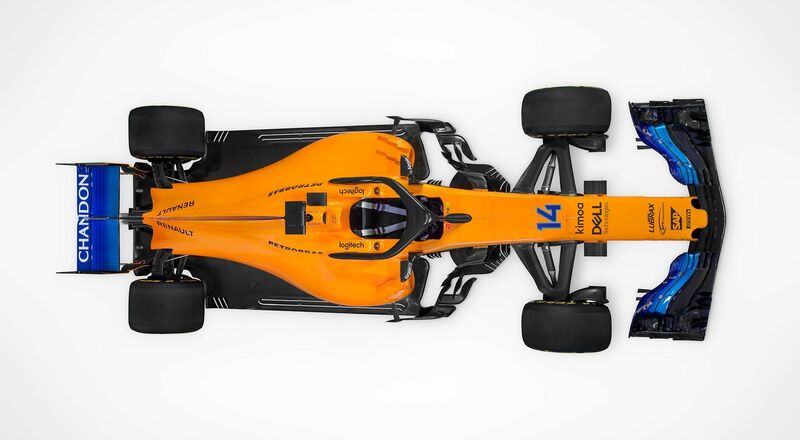 McLaren has unveiled the fruit of its offseason labor with the new-for-2018 MCL33. The Papaya Orange racer is the first example of the Woking manufacturer's work with Renault, a partnership which the team hopes will put it back on the podium for the first time since 2014. A well-documented breakup with the crew's former engine supplier, Honda, was the result of several turmoiled years that has left Macca faithful weary, but according to the team's execs and star driver Fernando Alonso, this could be the start of something good. To signal this changing of the guard, McLaren has reverted back to its formative years with the brightly-lit orange livery. 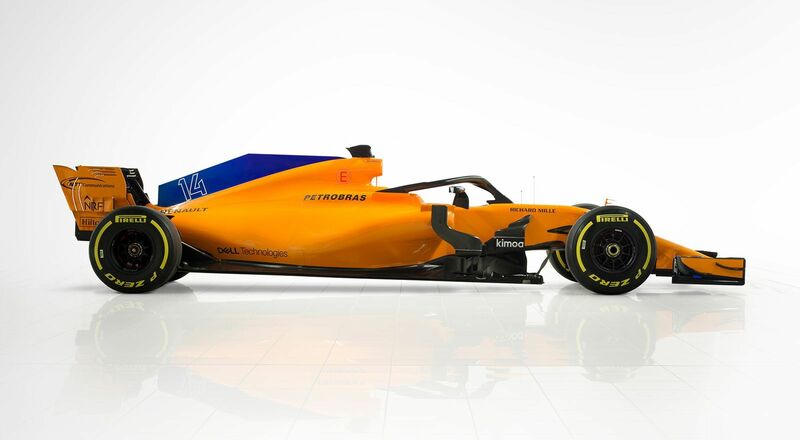 This is the same color that Mr. McLaren himself touted at Grands Prix back in the '60s and '70s, and when applied to the modern day F1 car, it certainly brings about a nostalgic feel. 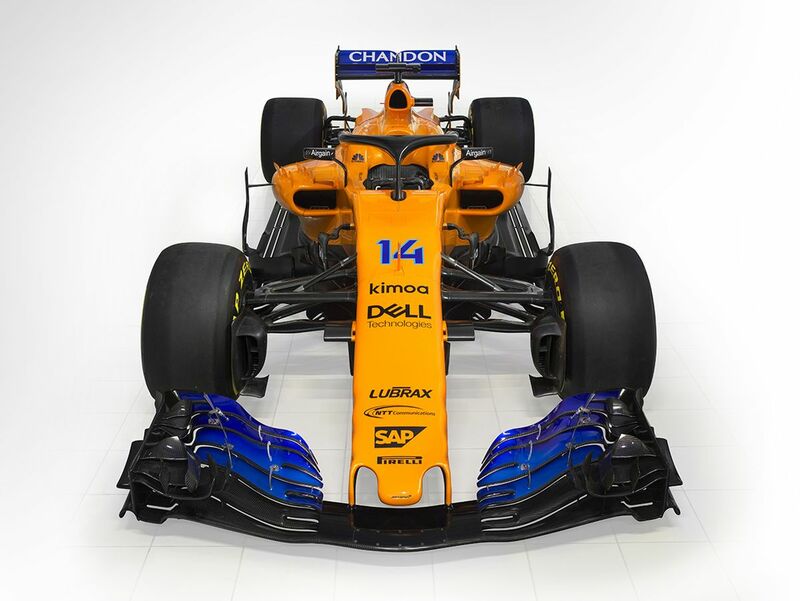 It wraps the freshly-designed MCL33's new bodywork that drops the "shark fin" for this season and pairs nicely with the bold blue accents throughout. It also draws attention away from the now-mandatory Halo safety device, which as many F1 designers will admit, is a major plus. Alonso seemed positively realistic about the brand's new lovechild as he told the media upon the car's release. "If we're able to develop the key strengths of last year's chassis and marry it to an improved Renault power unit, then I think we'll be able to take a step forward," said the two-time world champion. "Looking at our new car, I feel incredibly excited—but also apprehensive. I know just how important this car is to the team, and I just hope that it delivers in the way we all want it to." "The good times are coming! It felt great. It's always a special moment to drive the car for the first time. Everything felt good." Of course, the tell-tale sign of McLaren's fortune lies within its engine bay. Alonso and co. admitted repeatedly throughout last season that, with more power and reliability, the team could've consistently finished near the top. Now, with Honda out and Renault's expanded customer program in, the organization is relying on sturdy support and performance from the new hybrid V-6 power unit. McLaren executive director Zak Brown closed with a statement saying that the British outfit is hopeful that this season could display a return to prior form. "The McLaren team was created by a brave pioneer, and has had bravery at its core ever since," he said. "Whether it's been with brave drivers, brave leaders or brave fortune, this team has always fought back. "And we definitely view 2018 as the year when McLaren will move closer to the front, fighting teams and drivers as we improve our fortunes."